Just as chimney cleanings are essential to your home and family’s safety; so are chimney sweeps. Did you know that chimney sweeping removes creosote buildup, making your chimney much safer and less susceptible to fire. A heavy build up of creosote can lead to chimney fires and can contribute to air pollution. 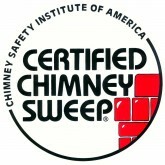 Our chimney sweepings in Holly Springs can ensure the safety of your home and your family. Don’t Wait Any Longer & Get Your Chimney Swept in Holly Springs Today! Call the professionals at Nexus Chimney Services in Holly Springs today, and rest assured that the your family and home will be safe. Contact us and ask about our variety of cleaning services.